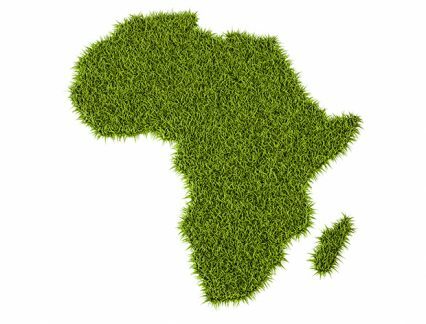 The African Export-Import Bank (Afreximbank) has set up a new fund that will provide seed capital to exporters in Africa. The Fund for Export Development in Africa (FEDA), a development-oriented subsidiary of the bank, has been launched with an initial US$100mn commitment from Afreximbank. It expands the bank’s offerings to include equity investments, says Benedict Oramah, chairman of the fund and president of Afreximbank. The Mauritius-headquartered fund is tasked with implementing Afreximbank’s equity investment programme by providing seed capital to companies within a range of sectors, including agriculture, manufacturing, consumer and retail, financial services, technology, travel and tourism, transport and logistics, and industrial parks. It will specifically target SMEs and activity that supports intra-African trade and value-added exports. The fund will also provide related financial, non-financial and support services. FEDA’s aim is to invest US$10mn and raise a further US$450mn in foreign direct investment by the end of the year. The news follows Afreximbank’s launch of a range of other programmes to support intra-African trade. This focus has become increasingly relevant in light of the formation of the African Continental Free Trade Area (AfCFTA), which was agreed in March and is now being ratified across the continent. Currently, it has the backing of 49 of the 55 African Union member states, with nine countries having ratified it to date. One of the bank’s recent initiatives is Mansa, a customer due diligence platform introduced last year. The platform seeks to provide a single source of primary data required for financial institutions to conduct know your customer checks on counterparties in Africa, making it easier and more cost-effective for them to onboard African business. Afreximbank has also launched its new Pan-African Payment and Settlement Platform, which facilitates the clearing and settlement of intra-African trade transactions in African currencies. The hope is that it will significantly reduce the dependence on US dollars and other hard currencies in the settlement of regional trade. Other members of FEDA’s new board include Jean-Louis Ekra, former president of Afreximbank, Vishwanathan Shanker, CEO of the private equity fund Gateway Partners, and Sidi Ould Tah, director-general of the Arab Bank for Economic Development in Africa.